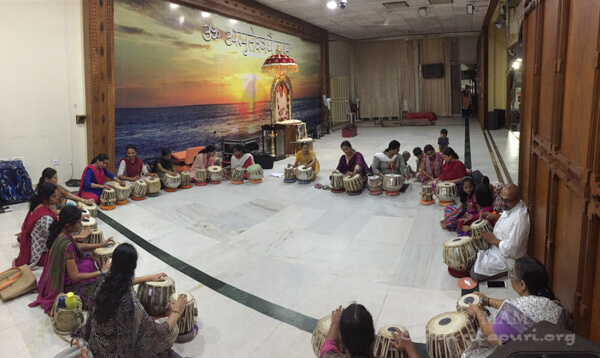 Tabla is relatively new as a musical instrument in India. 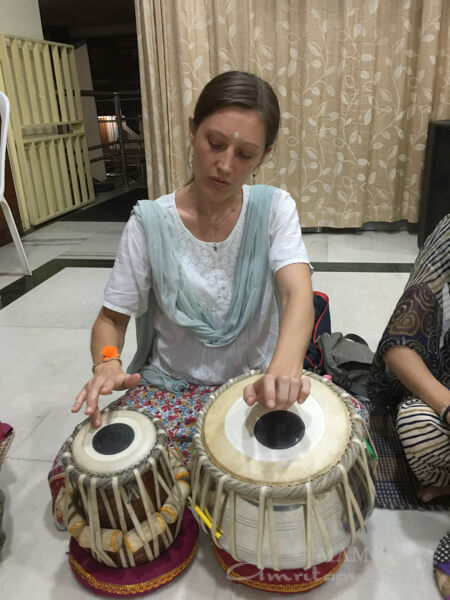 Traces of its first origin go back to just 300 to 400 years. 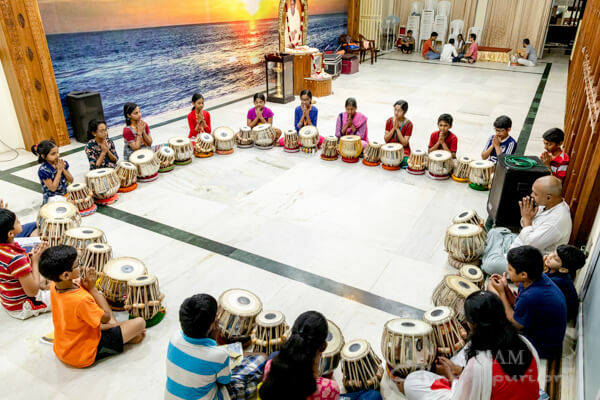 Since then, going through a continuous evolution in the shape of the instrument and its tuning and usage, it has become an essential instrument in the Hindustan traditional classical music. 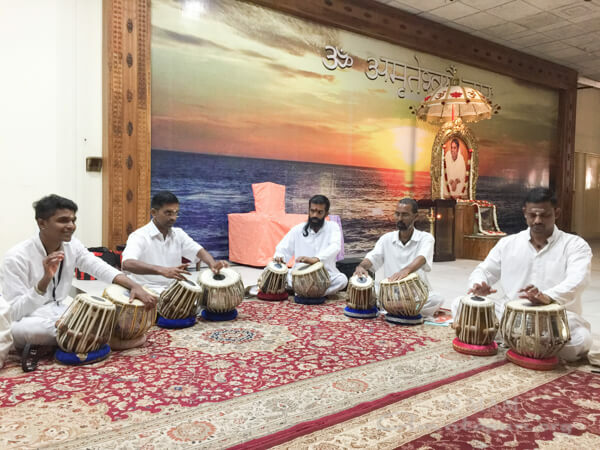 Tabla is prevalent in spiritual bhajans and the romantic ghazal songs. 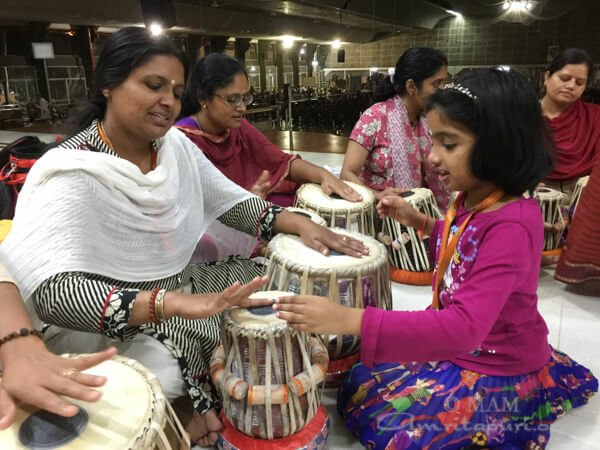 In the early days, as Amma was singing devotional songs with her first disciples, tabla was one of the musical instruments that were part of the instruments used by the group of musicians singing with her. 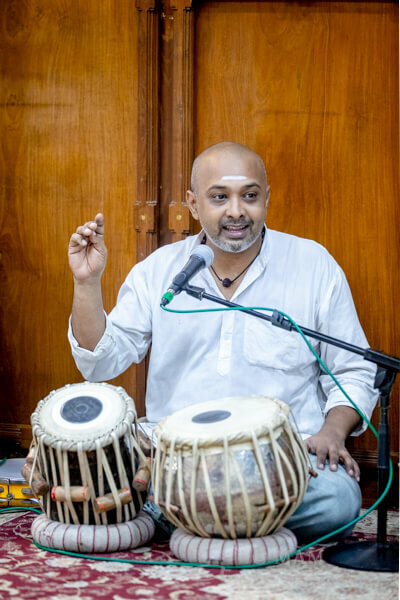 Swami Pranavamritananda, for instance, was the first specialist in playing the tabla. 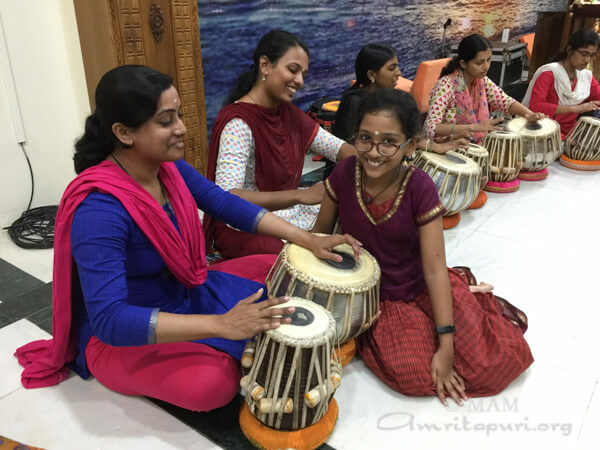 In the last few years, Amritapuri’s experienced tabla players gave classes to those who showed interest in learning this skill. 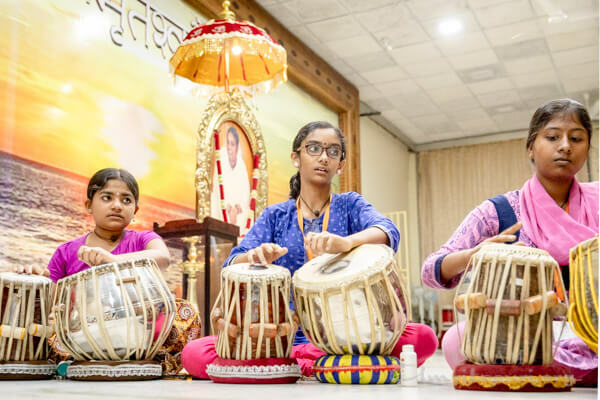 The students included a few brahmacharis, ashram kids and a few of Amma’s international devotees. 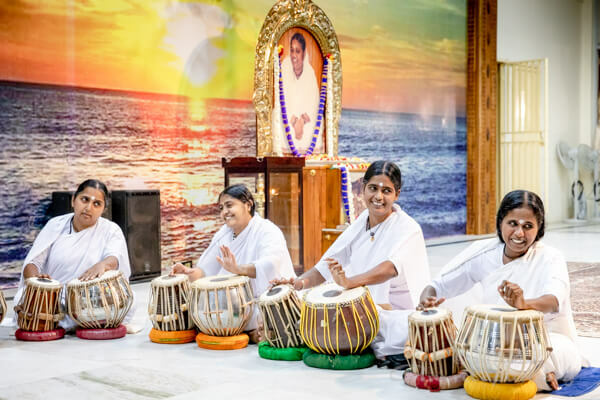 Last year in May, as Amma was about to leave on her 2017 American tour, she asked the brahmacharinis if any of them had the desire to learn to play the tabla. 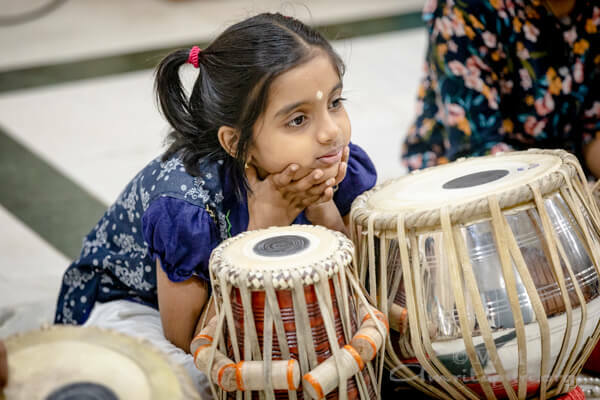 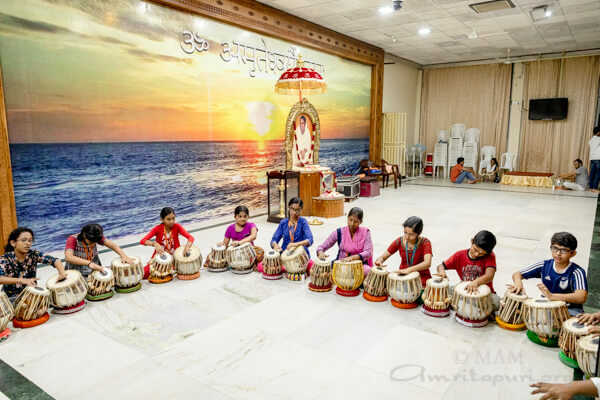 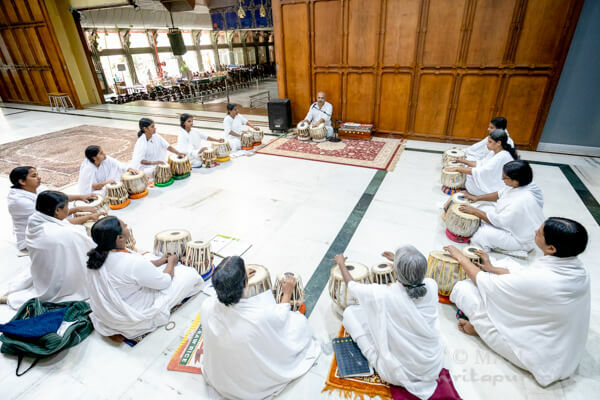 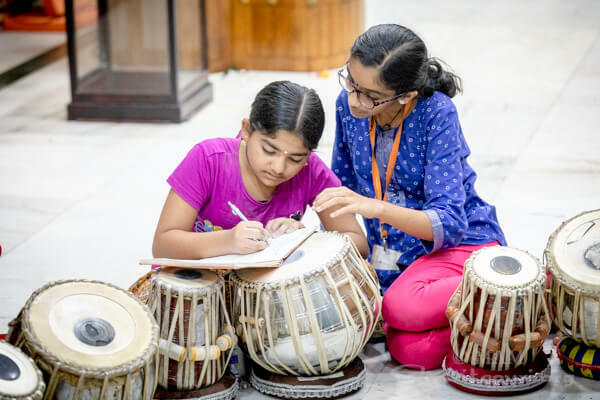 Most of them would be going to hold programs in various parts of India for the next two months, and Amma wanted them to be independent without depending on finding a local tabla player to accompany their singing during the bhajan sessions. 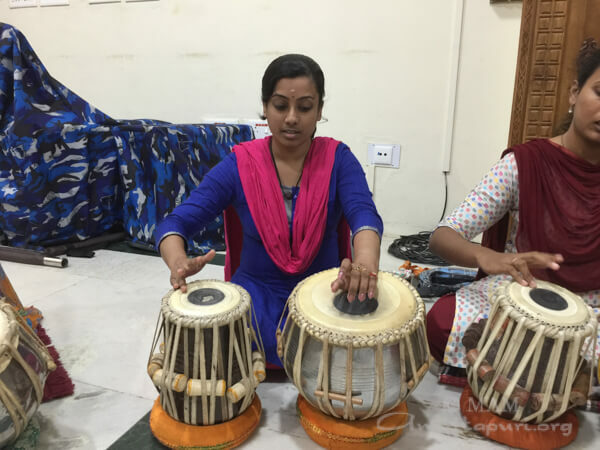 Some expressed an interest, but things were not organised and classes were not set. 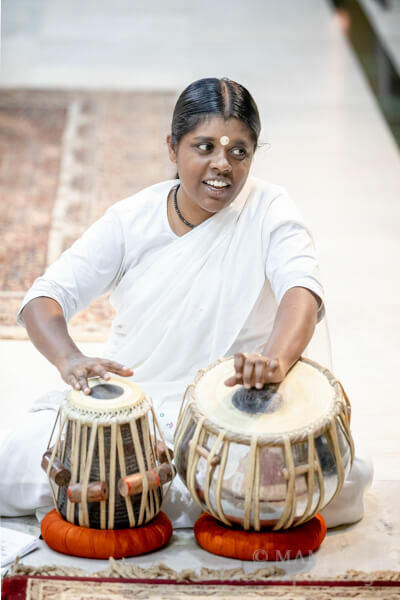 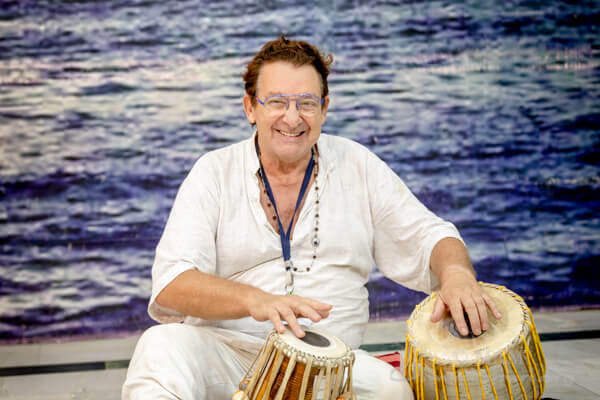 After she was back from the tour, Amma called brahmachari Hari, who is one of the experienced tabla players and instructed him to start classes for the brahmacharinis. 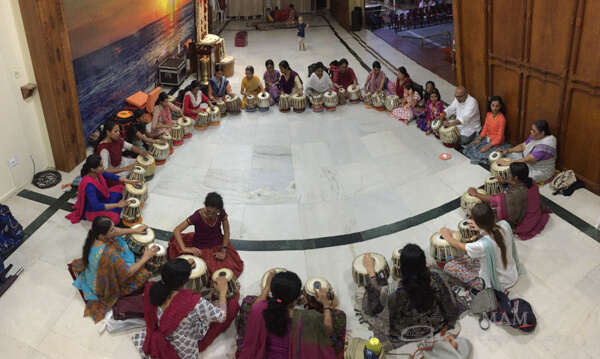 She asked those interested to put their names on a list, and very quickly there were 80 candidates! 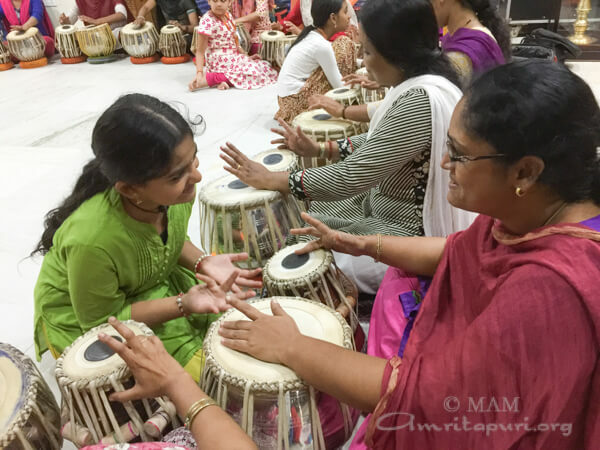 “I started taking part in the classes when Amma encouraged the brahmacharis to learn this skill. 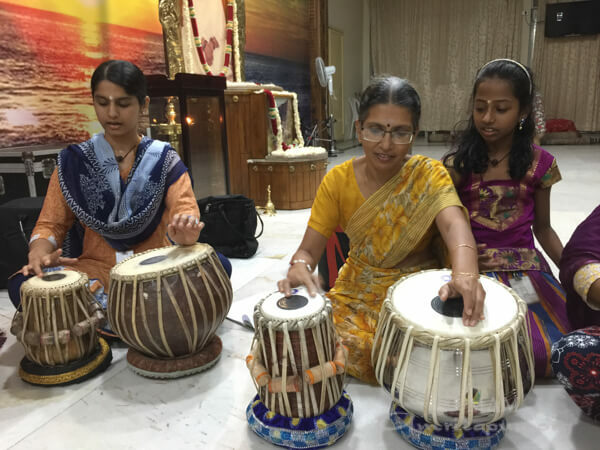 I believe that learning any new skill could be eventually useful in my service for Amma at any time. 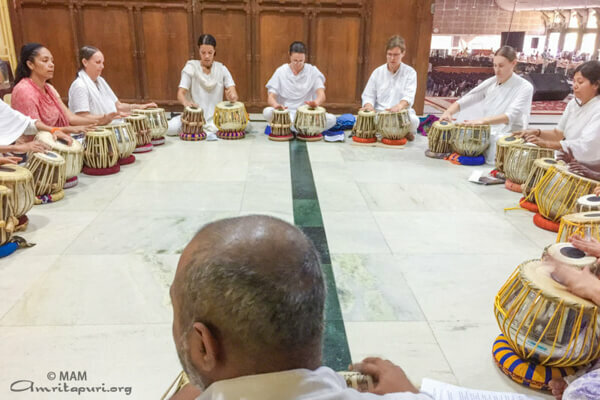 I come to the classes every time unless I am sent by Amma to do work outside of the ashram. 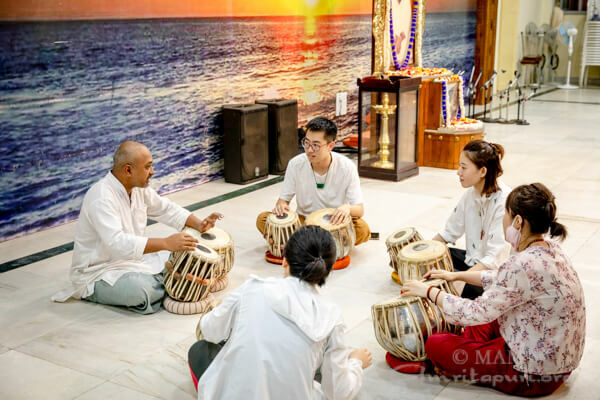 And when I am back, I try to catch up with the classes.